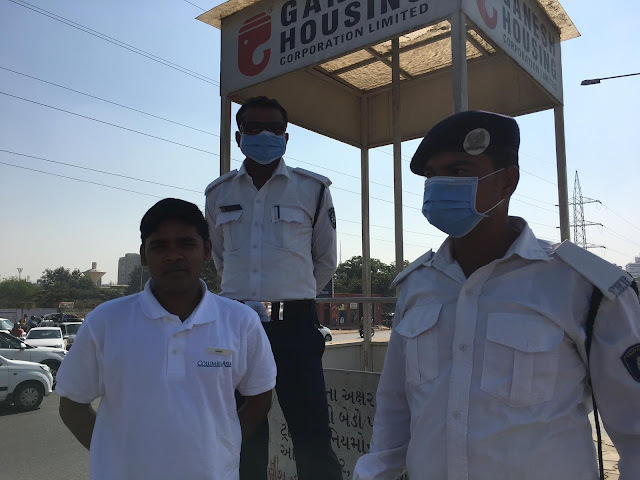 Ahmedabad, December 29 2016: With poor air quality becoming a major concern, Columbia Asia Hospitals, Ahmedabad today reached out to traffic personnel across the city and distributed to them nose masks to help them better cope with the effects of pollution. The activity was organized by the hospital on the occasion of National Pollution Control Day which exhorts citizens to reduce their carbon footprint and initiate measures to help check the deteriorating air quality. Poor air quality in India’s major cities is emerging as a major health problem, with increasing amount of hazardous PM 2.5 in the environment making air toxic to breathe. 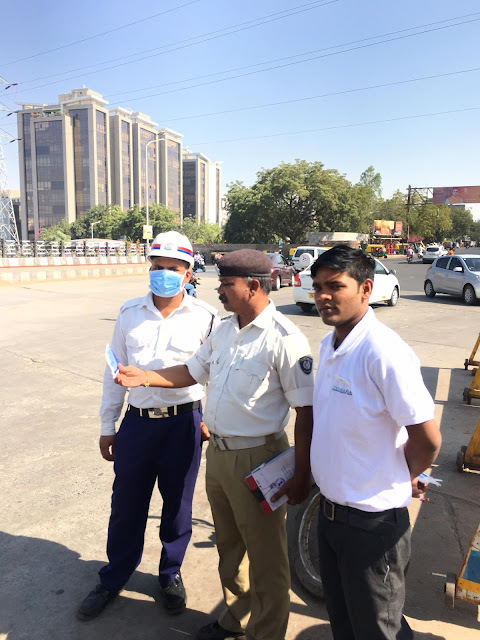 While environmental pollution is a threat to all people, traffic personnel who work at crossroads and zones with high levels of vehicular pollution are particularly at high risk. 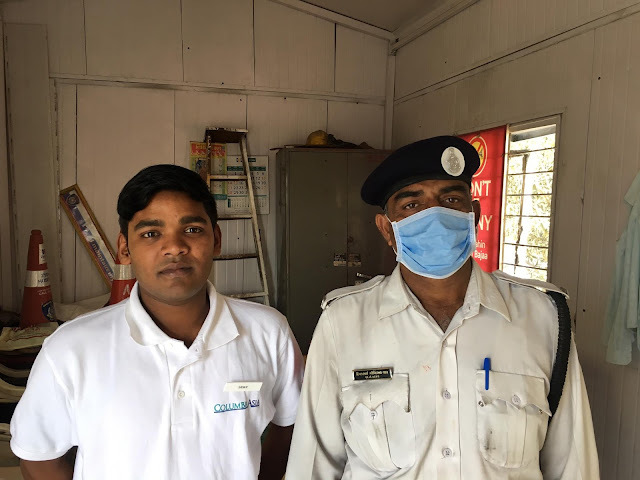 “With increasingly worsening air quality we are witnessing a rise in number of people reporting with problems like asthmatic attacks, bronchitis, persistent cough and watery eyes. The cases are more common in children who has sensitive and underdeveloped lungs as well as people who spend a great amount of time in polluted areas. Traffic personnel are among the category of people most exposed to vehicular pollution that can have long term impact on their health. 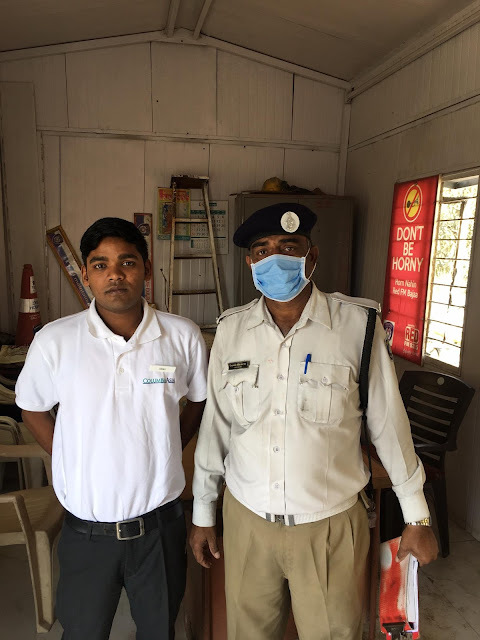 Therefore through our activity we want to promote the use of masks among traffic personnel and help them up their guard against pollution,” said Dr Dr Wasimahmed Sachora. Not only asthma and bronchitis, constant exposure to air pollution is also believed to up the risk of lung cancer. The International Agency for Research on Cancer (IARC) has already declared outdoor air pollution as a carcinogen. The Global Burden of Disease Project 2010 attributed an estimated 3.2 million deaths worldwide to air pollution, including 223,000 to lung cancer. In 2013, an IARC supported expert panel concluded that there was enough evidence to say that outdoor air pollution can cause cancer in people. It decided that a specific part of air pollution known as PM 2.5 (solid dust-like particles, or ‘Particulate Matter’, less than 2.5 millionths of a metre across) are the prime cancer-causing ingredient in outdoor air. The risk also depends on the level of air pollution people are regularly exposed to. According to a study published in the Journal of the American Medical Association, a mere increase of 10 micrograms per cubic metre of particulate matter in the air can increase chances of lung cancer by 8 per cent. 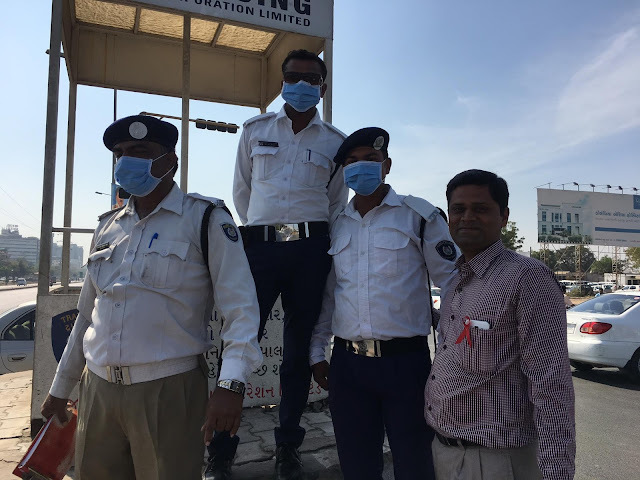 The hospital held a large scale exercise to distribute masks among the traffic personnel and also educated them about the need for its usage and precaution, given the fact that their jobs require them to spend hours on highly polluted roads. The National Pollution Control Day is observed each year on December 2 in memory of the thousands of people who lost their lives in the horrific Bhopal gas tragedy of 1984. The day also reminds us to make efforts to make our environment cleaner. Columbia Asia Hospitals Pvt. Ltd. is the only company in India to utilize 100% foreign directinvestment (FDI) route in the hospital sector.